Languedoc-Roussillon | ​It can get hot under the sun in southern France. Those who can call a pool their own will have found the ideal place to stay. Languedoc-Roussillon is the province in the south of France accessing the Mediterranean Sea. Stretching roughly from the Spanish Pyrenees to the city of Nîmes, the region features impeccable beaches, vineyards, remains from ancient times, and Catalan legacy. The area lends itself to seaside activities, sightseeing and dining, but the province also attracts adventurers eager to explore its expansive, untamed wilderness. 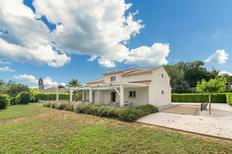 If you like Roman architecture, medieval cities, swimming in the crystal-clear sea and tasting French wines, consider booking a holiday home in Languedoc-Roussillon by TUI Villas. 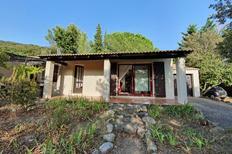 Accommodations are suitable for individual travellers and for small and large groups. The landscape of the Languedoc-Roussillon province in France varies from sandy beaches lined with holiday resorts to mountainous regions of the Pyrenees and Massif Central. The vacationers travelling between the historic cities discover gorges, vineyards, lakes and rivers in the area. Maison-Carrée, in the city of Nîmes, is one of the best-preserved structures of the Roman Empire in Languedoc-Roussillon. The temple features a portico with Corinthian columns and would resemble a Greek structure were it not for its walled rear. Nîmes Arena is the oval Roman amphitheatre featuring two levels abounding with arches. Pont du Gard, located northeast of Nîmes and about 50m tall, is the tallest Roman bridge ever built. You can walk the top of the aqueduct and admire the surrounding area. Medieval citadel defines the skyline of the town of Carcassonne with its defensive walls and turrets. While touring the fortress, visit the St-Nazaire Basilica to admire its Romanesque and Gothic elements. Comtal Castle, the inner stronghold protected by five towers and a moat, is another top attraction of Carcassonne and Languedoc-Roussillon. 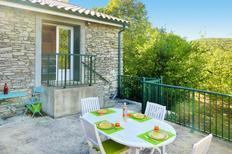 Great dining is another reason why travellers choose to book a holiday home in Languedoc-Roussillon. Most first-time visitors find themselves surprised that every city, if not neighbourhood, has its signature dish. The local cuisine incorporates elements of Greek, Roman and Catalan influences. Languedoc-Roussillon is a renowned wine region of France, and Coteaux du Languedoc and Fitou are some of the finest wines here. Brandade de Morue is a favourite speciality among the Nîmes locals. The main ingredient of the dish is salted cod, commonly served with garlic toasts and green salad. Cassoulet is the most iconic dish of Languedoc-Roussillon, consisting of beans, carrots, thyme and meat of pork or mutton. For a dessert, try Creme Catalane, the custard comprising egg yolks, milk, zest of orange and lemon, cornstarch and cinnamon. 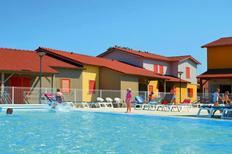 TUI Villas has a wide range of high-quality holiday homes in Languedoc-Roussillon on offer. 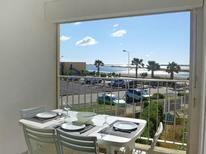 You can choose among houses and villas overlooking the sea, set in a lush environment and more. Most of them can accommodate up to a dozen guests, but options for larger groups exist as well. 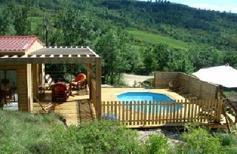 Fenced Languedoc-Roussillon holiday homes welcoming pets are widely available. 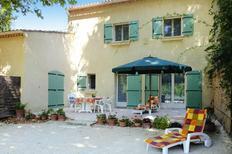 Many Languedoc-Roussillon holiday apartments cater to couples and individual travellers. 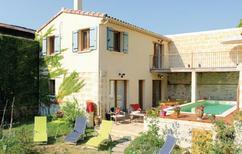 TUI Villas offers a large selection of accommodation options suitable for any budget. 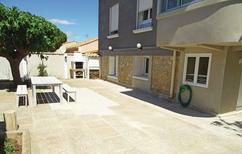 Most Languedoc-Roussillon holiday homes feature internet, kitchen, dishwashers and washing machines among basic facilities. You can also find saunas, whirlpools and fireplaces in some. Besides the top quality, high value, utmost privacy and many authentic holiday lettings, travellers spend their holidays with TUI Villas because of safe booking. Languedoc is a year-round destination with lively cities and lush countryside. This part of France isn't overpopulated, preserving its nature inhabited by boars, deer, owls, flamingos and eagles. While exploring the Languedoc countryside, you will traverse colourful vineyards, viewpoints offering sea views and bridges spanning gorges. Roussillon, the southernmost part of the Languedoc-Roussillon province, is most famous for seaside towns and resorts, but a trip inland reveals mountain villages featuring verdant settings. Relax on a sandy beach in Perpignan, the capital of the region, and discover old monastic communities in the countryside. Herault is a region in the heart of Languedoc-Roussillon featuring a diverse landscape. It consists of the seaside in the south, mountains in the north and a rural area in the middle. The capital Montpellier is a university city that never sleeps. Montpellier Airport is the main airline hub in the province, but direct flights from the UK are available to Carcassonne, Perpignan and Nîmes, too. 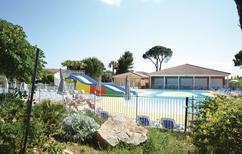 Trains (TGV and SNCF) and buses are available for transfers to Languedoc-Roussillon holiday apartments in towns and cities. Bus and train stations are at hand in all major cities and towns in the province, including Montpellier, Nîmes, Perpignan, Beziers, Narbonne and Carcassonne. Vacationers travelling to holiday villas and homes in the countryside can rent cars at the airports. A well-maintained major and secondary roads network of Languedoc-Roussillon connects the cities, seaside resorts and mountain villages. Use the A9 road to travel from Nîmes to Perpignan, while the A61 road leads you from Toulouse to Carcassonne. The same road takes travellers to Narbonne eventually, where it joins the A9 road. Languedoc-Roussillon is a year-time destination. Spring, when lush greenery frames medieval towers, monasteries and villages, lends itself to activities in nature. Summer is the ideal season for sunbathing on the beach and cruising the coastline. Visit the province in autumn to take postcard-quality photos of colourful vineyards. For sightseeing, any season does great. The Languedoc-Roussillon region features warm summers and mild winters, with average annual temperatures varying between 7°C in winter and 25°C in summer. Lows tend to decrease to 2°C, while highs rise to 30°C occasionally. Rainfall is infrequent throughout the year, and the average precipitation barely exceeds a few centimetres even during the rainiest months (April, October and November). Snowfall is essentially non-existent.